Calibrachoa is closely related to the Petunia. Both species were introduced to Europe from South America in the early 19th century. Calibrachoa is fast-growing and thrives in full sun, producing hundreds of small, trumpet-like flowers from spring through late fall. The plants have a low-growing, compact growth habit and are self-cleaning. For information on growing Calibrachoa, click on Growing Guide. This genus of Petunia look-alikes from North and South America offers several outstanding tender plants. 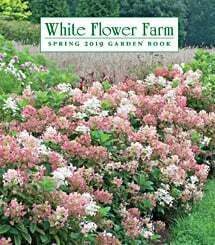 They are low growers with fine foliage and 1″ trumpet-shaped blooms that open non-stop until hard frost without need of deadheading. The plants' compact habit and bright colors make them indispensable for use in containers and hanging baskets. Give Calibrachoa full sun and plant in average garden soil. Prune if needed to keep them within bounds.